The first morning the front desk told there will be no breakfast. And they do not believe our booking includes breakfast. We told them to check the booking again, only then they started to provide breakfast. Anyway , the staff is quite nice still and is patient. The location is good, but it's noisy at night. Can see the lake and mountains on the rooftop. The towel is not clean. Breakfast is not included. The staffs are very kind and helpful. Being Sr citizen 1st flr rooms would hv been better but they were having smell so hotel staff gave us rooms on 2nd flr. Rooms r small. The only location advantage on lakeside and middle of market. We really loved staying in this hotel. It is very clean and cozy. The staff are very helpful and friendly. The restaurant is nice and the food is delicious. It locates in very strategic location in the lakeside. I would recommend this hotel to anyone who want to enjoy Pokhara. It’s very convenient to go anywhere, hotel is very good. Nice view. The price is pretty cheap compare to what you got. I would definitely want to stay here again. This hotel offers complimentary one way airport transfer. Hotel is exactly at best location of lakeside pokhara accessible anywhere within 10 to 15 mins by walk. Best hotel with good service. Specially there breakfast was awesome. And the restaurant staffs are so friendly. I will stay again if I visit pokhara. this is my second stay in this hotel . good value for money with very good location in the center of lakeside. helpful staff and tasty breakfast. 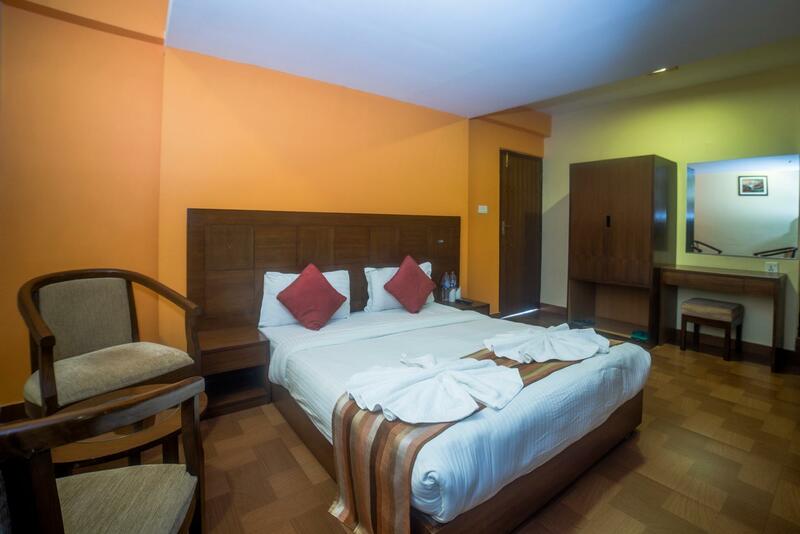 Simple and convenient hotel to stay right on Pokhara lakeside. Lovely view from the terrace and good air con facilities. Bedding and towels weren't the cleanest with some stains. All in all though a cheap and cheerful place to stay. The view from this hotel is magnificent. The staff are very friendly. The breakfast is very nice. We requested for large lake view room and view is very good. The hotel has a very nice restaurant as well. can ask to sent food to the room. It is really convenient. They used the hotel jeep to sent us to the bus stop. This hotel is the best choice in the trip. The price is also very affordable. Good location for shopping & visiting the lake..
the hotel located nearby fewa lake just 10 minutes by walk. Simple breakfast provided can be improve, the room is spacious but the facilities is obsolete. All the stafs are very helpful. I never suffer the electricity problem during my stay even the problem occurs in Nepal frequently. 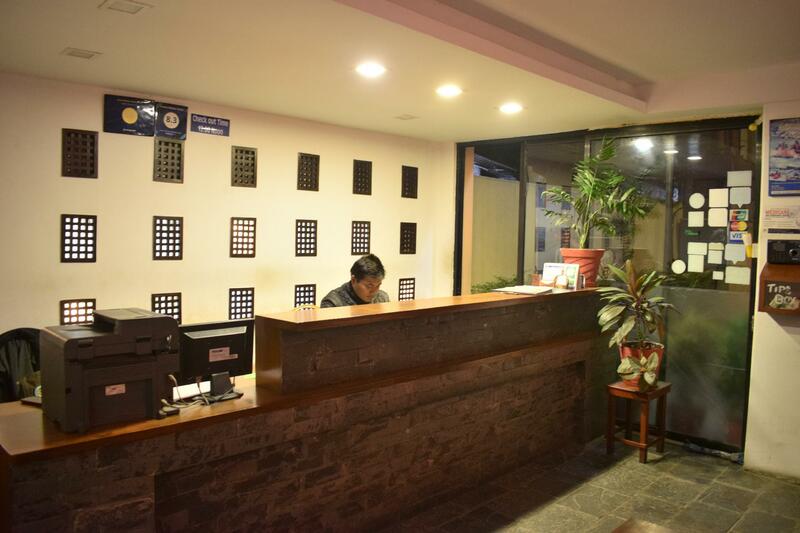 This hotel has good back up facilities which operates all aircondition and telephone and lights. Breakfast seems sound in the restaurants. The view from the top is excellent. I have enjoyed lot. Hope to see you again kotee home hotel. Modern hotel that is in a central location. 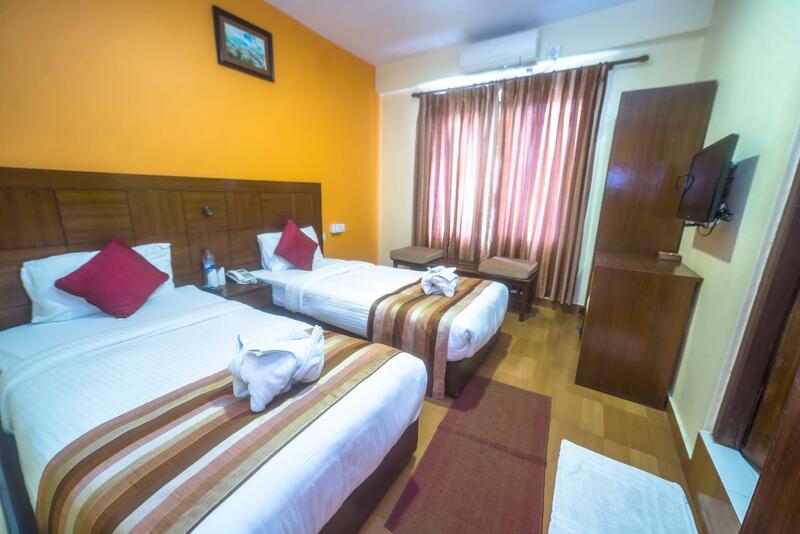 Clean rooms with hot showers and wonderful views of the lake and mountains. Helpful staff. I had several tasty meals in their restaurant.